KAMPALA, Oct 3 2018 (IPS) - Locals in Kampala, Uganda’s capital, always have two or three things to say in a conversation about how the city is developing. Some say it is filthy because of the growing waste; others say it is a slum because of its unplanned settlements; and then there are those who say it is just plain inconvenient because of the traffic congestion created by the boda boda (motorcycle taxis) and commuter taxis that honk incessantly as they make their way along the streets. But Juliana (not real name), a student from Seven Hills International School, has a solution to the capital’s urbanisation crisis. “I’m praying that a hurricane hits Kampala so that we would have no choice but to re-organise it,” she says. She is part of a class team working on a project to turn Kampala into modern city. “What would be the name of that hurricane? This was a big statement. Have our children given up?” asks Amanda Ngabirano, an Urban Planning lecturer from Makerere University. Ngabirano, has been working in partnership with the Kampala Capital City Authority (KCCA) on plans for a downtown car-free zone. She disagrees with Juliana on the suggestion that the entire city should be razed and says it can transition to a low carbon future based on the Global Green Growth Institute’s green cities model. A green city is an urban area that moves toward long-term environmental protection, social inclusion, and economic sustainability. A green city, according to GGGI, is understood as an urban area that moves toward long-term environmental protection, social inclusion, and economic sustainability. GGGI is a treaty-based international organisation that promotes green growth. Ngabirano tells IPS that there is still an opportunity to green Uganda’s urban settlements. 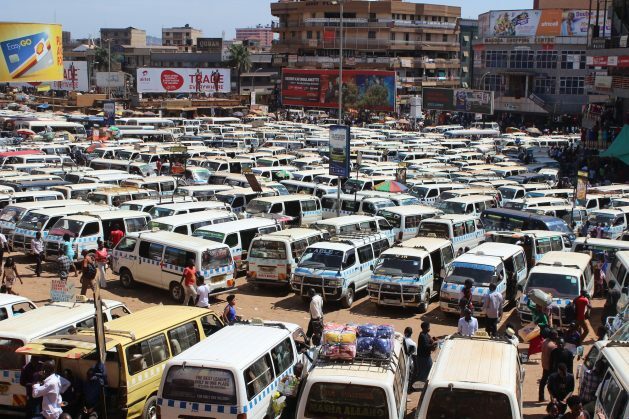 Uganda is slowly urbanising with about 19 percent of its population living in urban centres. It is projected that 30 percent of Uganda’s almost 42 million people will be urban dwellers by 2035. Kampala, the country’s biggest city, is faced with a number of problems–which include the growth of informal settlements, encroachment on wetlands, and inadequate sewage and water treatment plants to service the city’s population of 1.5 million–all of which are exerting pressure on the natural environment. Urban planners and environmentalists have concluded that Uganda’s current “grow dirty now, clean up later” style of urbanisation is not sustainable. However, the government has embarked on reversing the damage to its natural resources. With support from development partners, the government is looking towards a green growth strategy that emphasises the need for a more harmonious relationship between development and the environment. In partnership with GGGI, the government recently developed the Uganda Green Growth Development Strategy 2017/18 – 2030/31. Launched last November, it will be implemented over the next 14 years and is estimated to cost USD11 billion. The strategy suggests a new urban growth model that encourages a more compact, connected national transition by 2040. It projects to increase access to basic services by over 33 percent, reduce the aggregate infrastructure investment requirement by 11 percent, and reduce greenhouse gases by 27 percent. Peter Okubal, the GGGI country representative to Uganda, tells IPS that his organisation has already embarked on policy changes and formulations to enable this East African nation to follow a green path to its development. “Our analysis suggests that improved urban policy is not enough – correcting ongoing issues in the economy will be just as important for a successful urban transition,” Okubal says. Uganda’s Vision 2040 suggests eight priority interventions to catalyse better urban growth. If implemented, they could boost GDP by USD4.3 billion by 2040, as well as provide new jobs and positive environmental benefits. Okubal says that there is indeed an opportunity for Kampala and other cities in Africa to change the trajectory that they are on by adopting the green cities model of urbanisation. “The population living in green cities is rapidly growing. So if the governments took advantage and developed cities that are competitive, then they are likely to reap the urban dividend rather than getting the confusion associated with urbanisation,” explains Okubal. GGGI has supported Uganda’s ministry of lands and urban development complete the national urban policy through its green cites programme. It has also supported the process of development of a strategy to implement the green cities road map. The road map provides a step-by-step process through which a city can be transitioned from an ordinary one to one that is competitive, compact and coordinated. “That is the model that we promote. [For] cities in Uganda should be able to connect to each other, they must be competitive. That means that they should be able to generate businesses, they must be livable at the same time but also productive in nature,” Okubal says. The Uganda Vision 2040 proposes four regional cities and five strategic cities in the course of Uganda’s urbanisation. These are the capital city Kampala, the regional cities of Gulu in Northern Uganda, Mbale in Eastern Uganda, Mbarara in Western Uganda, and Arua in West Nile region. “Uganda is endowed with rich natural diversity that necessitates incorporation of sustainable and consumption practices into the economy to ensure the sustainability of natural resource capital,” Paul Mafabi, director for environment at Uganda’s ministry of water and environment, tells IPS. He says well-planned urban settlements based on a green cities model could save the country’s natural resources. “Most of these resources are non-renewable or in case of degradation, [result in] loss or extinction, their restoration demands a lot of financial, moral and physical input,” says Mafabi. In a related development, GGGI is taking steps towards addressing the increasing solid waste management crisis in the country. It recently completed the national urban solid waste policy. The document provides a framework in which the government of Uganda can manage solid waste nationally. “The current waste management approach that the government has been using in Kampala is what we call pick and dump. Pick the waste from the household and dump it into land fill. Now GGGi proposes an alternative to that,” says Okubal. “If we treated waste as a resource, and indeed waste is a resource, then we can leverage on the amount of waste generated to create 4 million jobs over the next 15 years,” he further explains. According to Okubal, there are plans to develop a bankable project estimated at USD15 million to address the waste challenge in Uganda’s cities and urban authorities. Uganda’s government needs to mobilise USD11 billion over the next 15 years. It also needs USD2 billion dollars to be spent over the next five years. Some development actors have doubted whether the government can raise that funding from its budget or through development partners. But Okubal is of a different opinion. “There is quite a lot of money out there. The money is out there but the governments are failing to tap the money,” he argues. He explains that it is possible for governments to access those funds in different forms, either through routine budget cycle or through major players within the green economy. “The EU [European Union] has, for example, allocated 60 million euro to be spent over the next two years to support the government of Uganda to implement the green growth strategy,” he explains. Sweden, Norway and other individual EU countries are, according to Okubal, considering funding green growth efforts in Uganda. “We have the Green Climate Fund, the Global Environment Facility and there are other international windows for funding for a green economy. All these are opportunities which the government of Uganda can tap into,” Okubal says. The government plans to introduce the bus rapid transit and light rail which will either be run through a private/public partnership arrangement or by the a private sector led financing model. The United Nations Development Programme country office in Uganda recently mobilised USD 24.1 million from the Green Climate Fund to implement the Presidential Initiative to restore the country’s degraded wetlands.